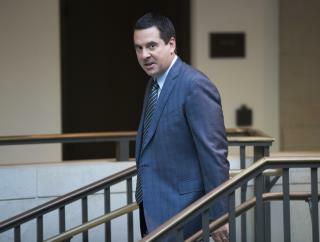 (Newser) – Devin Nunes' Cow might have had only 1,200 followers as of Monday, but GOP Rep. Devin Nunes had tired of the insults it had been dishing out since August 2017. So he sued it, Twitter, and a couple of other accounts for $250 million on Monday, claiming Twitter ignored his complaints about defamatory material—defamatory material that has found a much wider audience thanks to the spotlight he shone on it. It took just a day and a slew of headlines for @DevinCow to leap ahead of the Californian's own Twitter account. The tally as of this writing: @DevinNunes has 396,000 followers; @DevinCow has 562,000. This doesn't even need to be in the news. I am mooved to write: Devin. Honey. Don't have a cow.. You're making an udder fool of yourself. And people are going to keep milking this for its humor.